Founded in 1749, Washington and Lee University is named for two men who played pivotal roles in the University’s history: George Washington, whose generous endowment of $20,000 in 1796 helped the fledgling school (then known as Liberty Hall Academy) survive, and Robert E. Lee, who provided innovative educational leadership during his transformational tenure as president of Washington College from 1865 to 1870. The University is located in the historic city of Lexington, Virginia (population 7,000), a warm, welcoming and historic college town located in the Great Valley of Virginia between the Blue Ridge and the Allegheny Mountains. 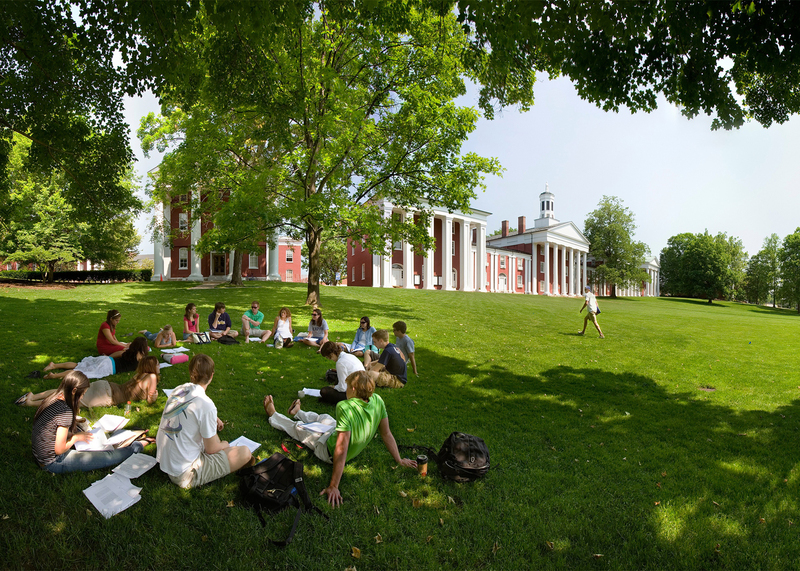 W&L’s 35 principal buildings include the picturesque Washington College group forming the Colonnade facing Lee Chapel, where Robert E. Lee is buried. The Colonnade and Lee Chapel are National Historic Landmarks. The ninth oldest institution of higher education in America, Washington and Lee is composed of two undergraduate divisions, the College and the Williams School of Commerce, Economics, and Politics; and a graduate School of Law. Offering 37 undergraduate majors and 29 minors, including a number of interdisciplinary programs, the University prides itself on the depth and breadth of our curriculum, in which traditional liberal arts courses are augmented by offerings from the only fully-accredited business school and fully-accredited journalism program among the nation’s top-tier liberal arts colleges.